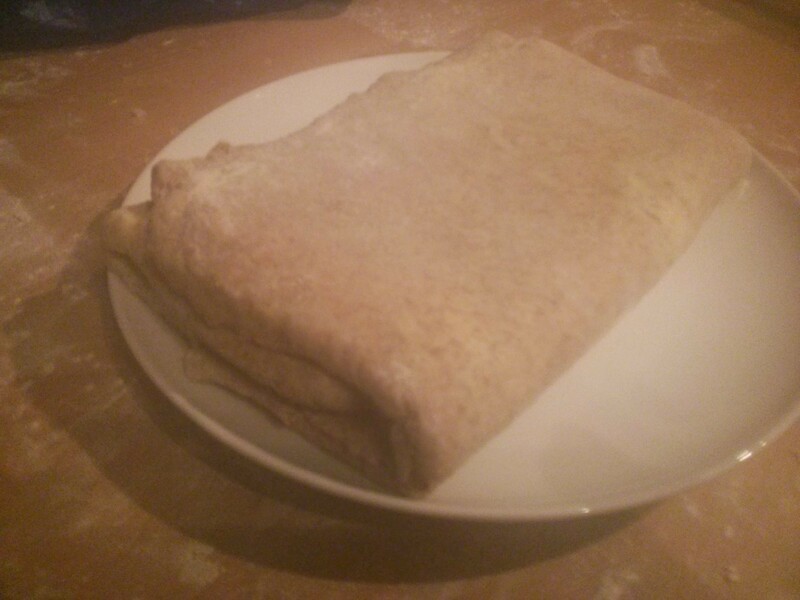 I’ve been meaning to try making my own puff pastry for a while now. 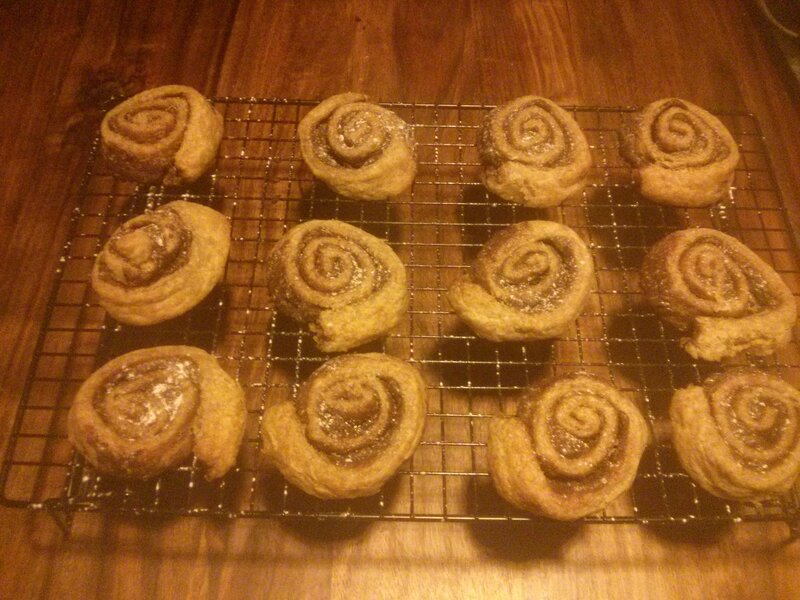 I recently found a quick version on BBC Good Food, and I also have a recipe for pumpkin & Nutella swirls. So when a request for something for a school bake sale came in on the same day as my Halloween order of pumpkin puree was delivered, it seemed the obvious thing to make! 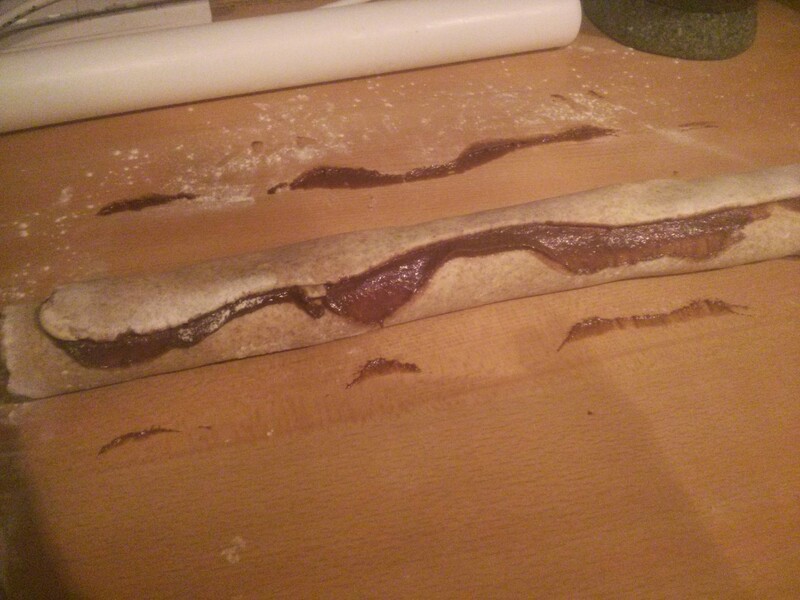 Unfortunately I didn’t realise that Nutella is banned in schools… Nut allergies apparently. 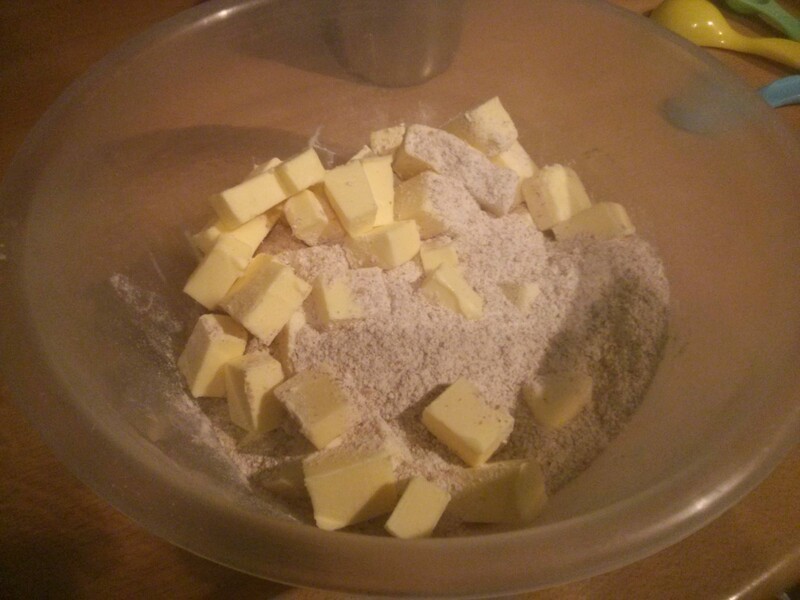 Anyway we start with 250g flour and 250g butter. 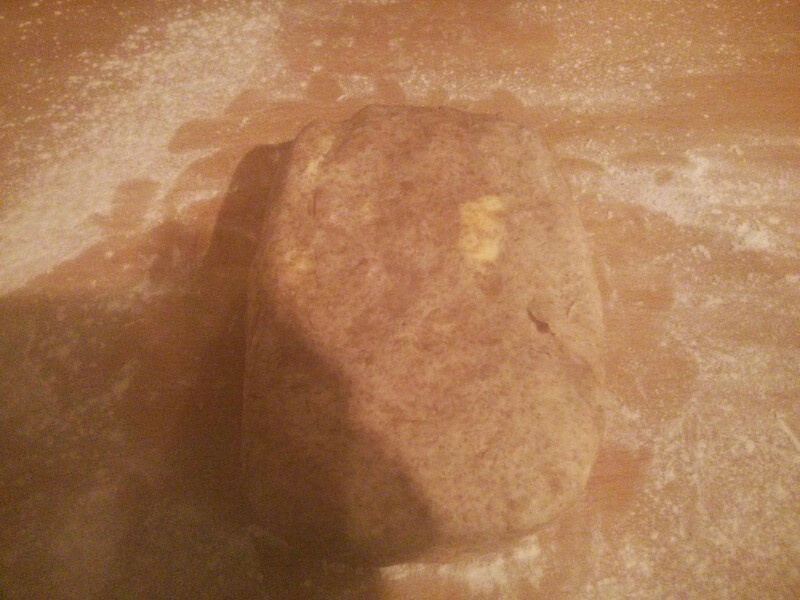 I’m using wholemeal flour as I’ve run out of the plain stuff. 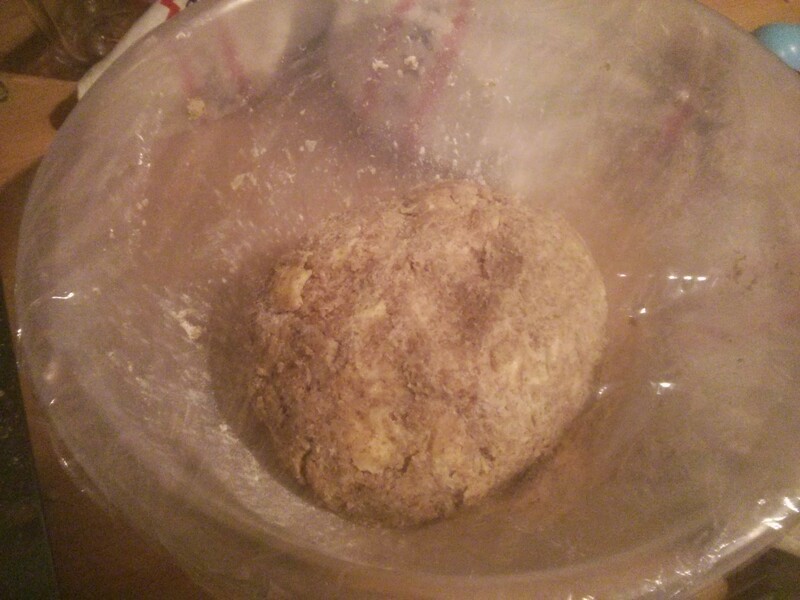 These get rubbed together a bit, then 100ml of water is added to bring into a dough, and left to chill for 20 minutes (outside, as the fridge is still broken…). 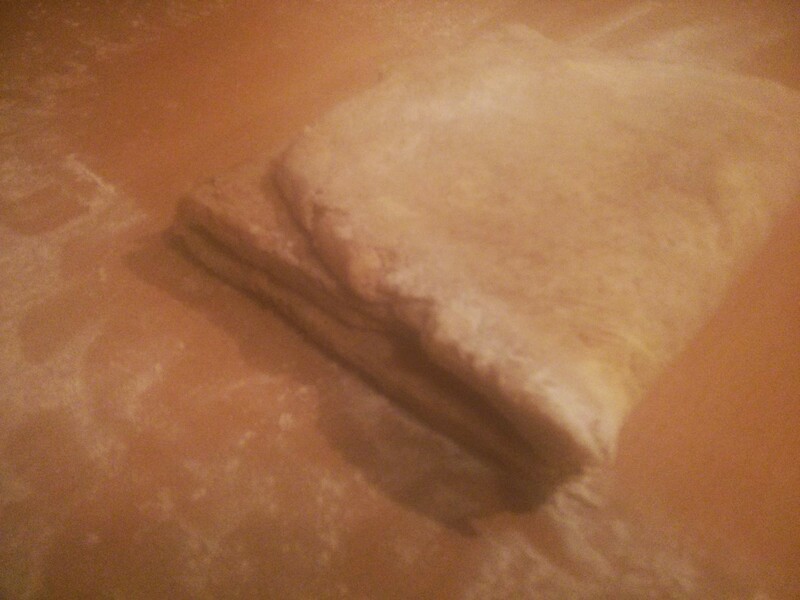 After chilling it gets kneaded a bit then formed into a rectangle. This is then rolled out into a long thing strip. Then the top 1/3 is folded down, and the bottom 1/3 folded up on top of it. This is then rotated 90 degrees, rolled out into a long strip, folded up again, and then one more turn and fold before hilling on a plate. 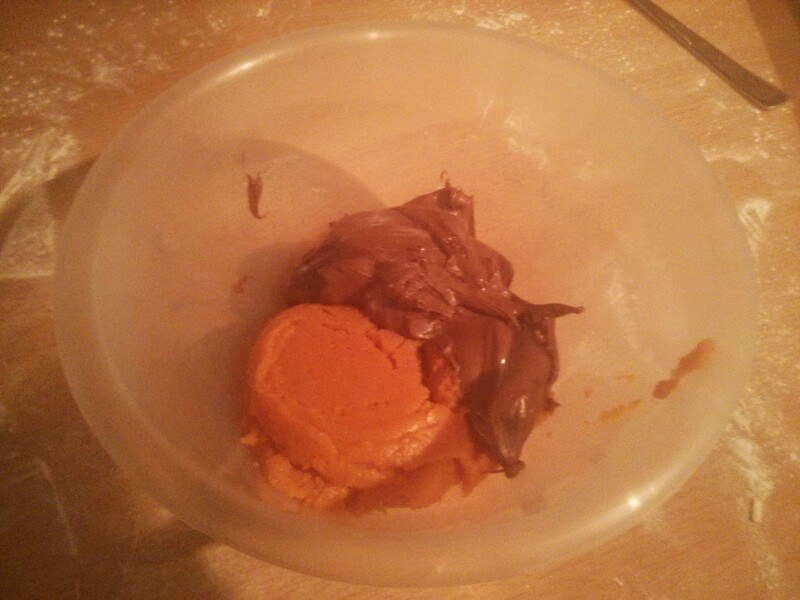 While this is chilling I mixed up pumpkin puree and Nutella. 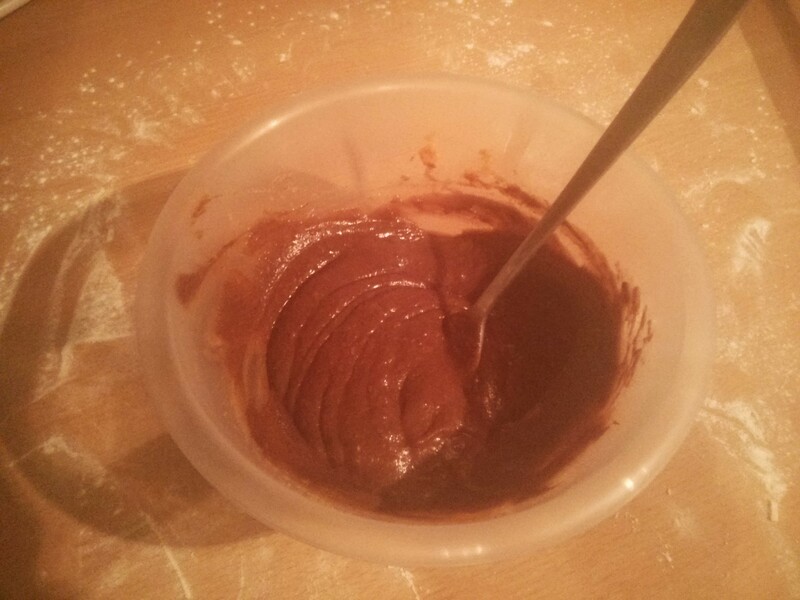 The recipe said 1/4 cup of each, that didn’t look very much so I went for 1/3 cup of each. This mixes into something that smells rather yummy. 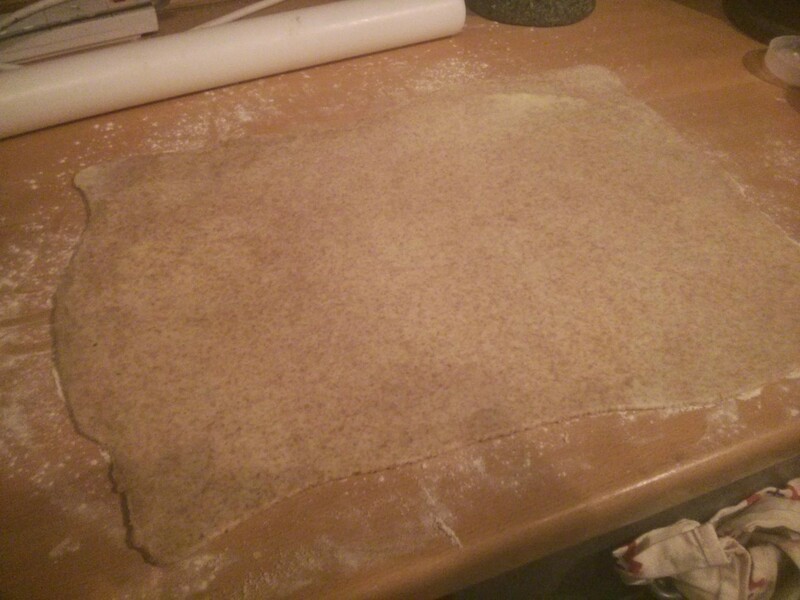 The dough gets rolled out into a large rectangle. 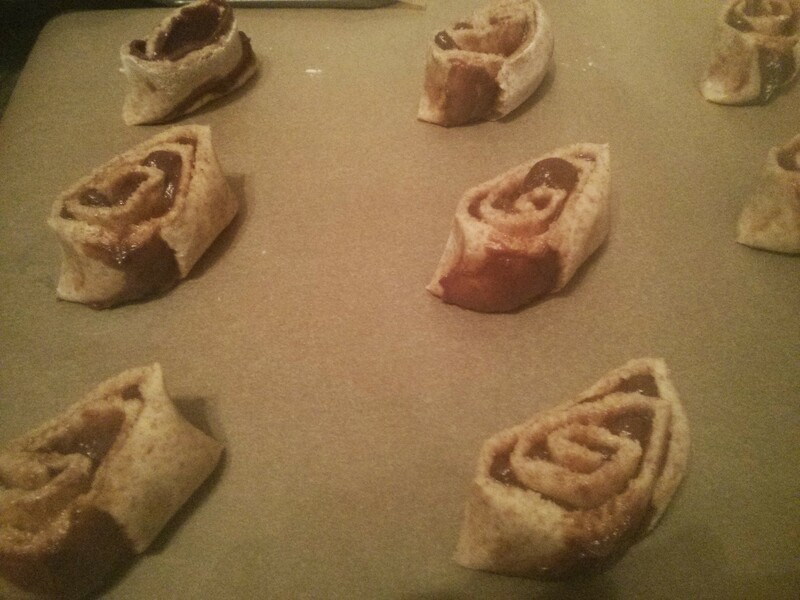 The pumpkin Nutella mix gets spread over it. This gets rolled up into a long sausage. 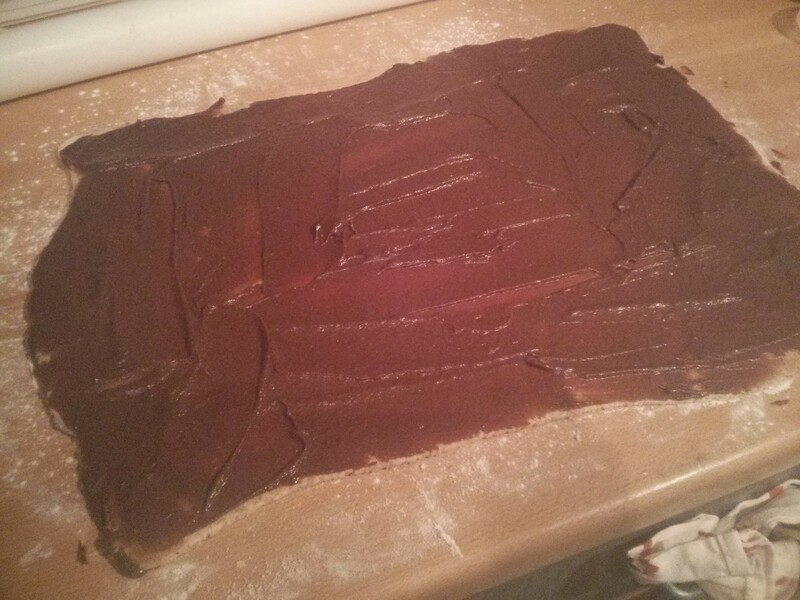 This is then cut up into 3cm sections and put on a baking tray lined with parchment (as my silicone sheets weren’t dry from yesterday…). Then into a 200c fan oven for 8 mins. But they didn’t look done so I put back in for another 2 mins before cooling on a rack. 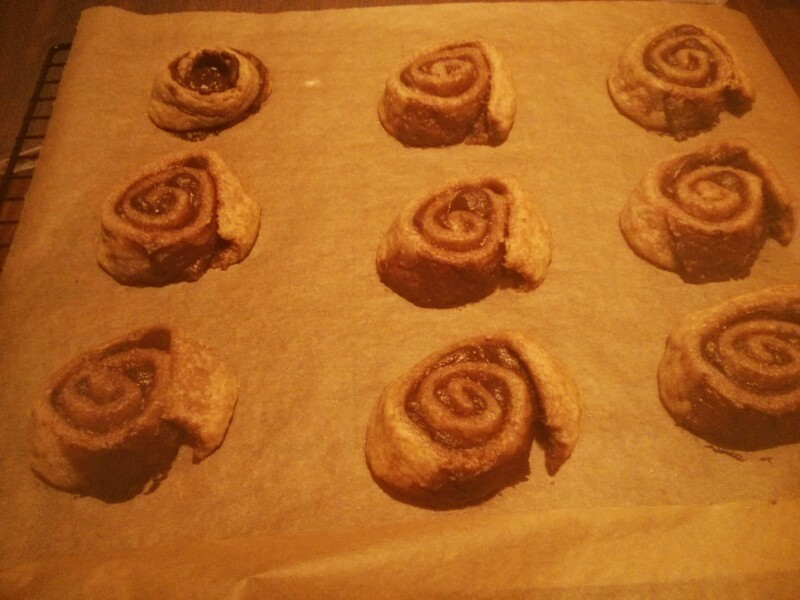 We tried on after they cooled… but they really didn’t seem done. Very tasty, but rather soggy. So back in the oven for another 10 minutes and things look better: more like cooked pastry! So after cooling on the rack these guys got sprinkled with icing sugar, and will get sold in Soph’s work bake sale tomorrow, so they’re not going to waste! 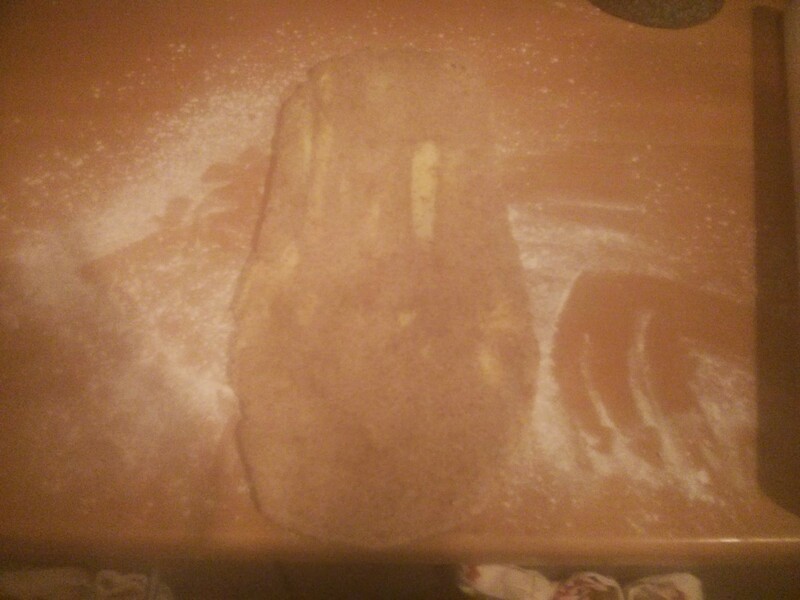 I tried another one… still bit doughy, but then again it’s still warm! Hopefully they’ll be crisper tomorrow for the bake sale. If not, at least there’s the peanut butter cookies! They look good. I’ve never heard of pumpkin being combined with Nutella.